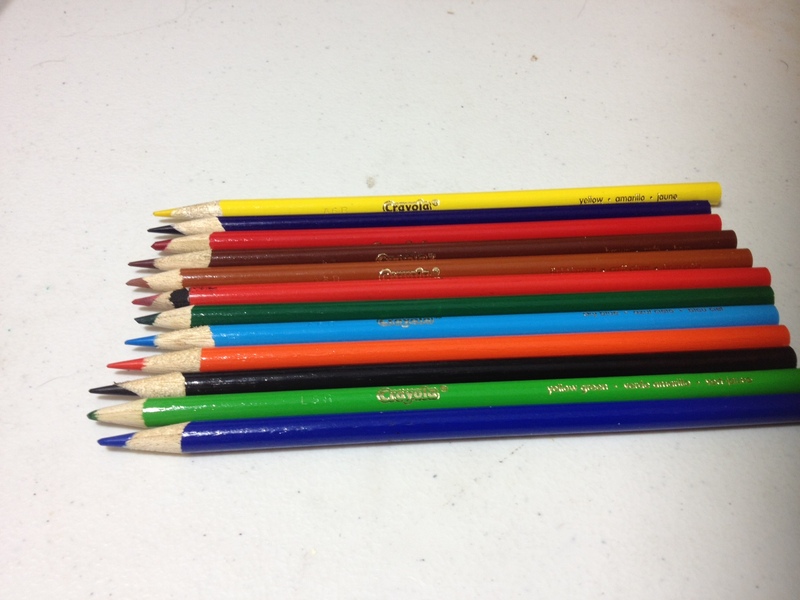 Colored pencils, or map colors as they forced you to call them if you went to school in Texas. While they don’t give the most professional look they are still a widely used and a good tool. The variety I will be talking about is the simple 12 pack of Crayola colored pencils. Most people know them, but for those who don’t, they come in a simple assortment of colors. The bodies are slick but grip-able as with most art utensils. The wood is splintery but easy to sharpen. And the “lead” is suitable, if a bit brittle and break prone. 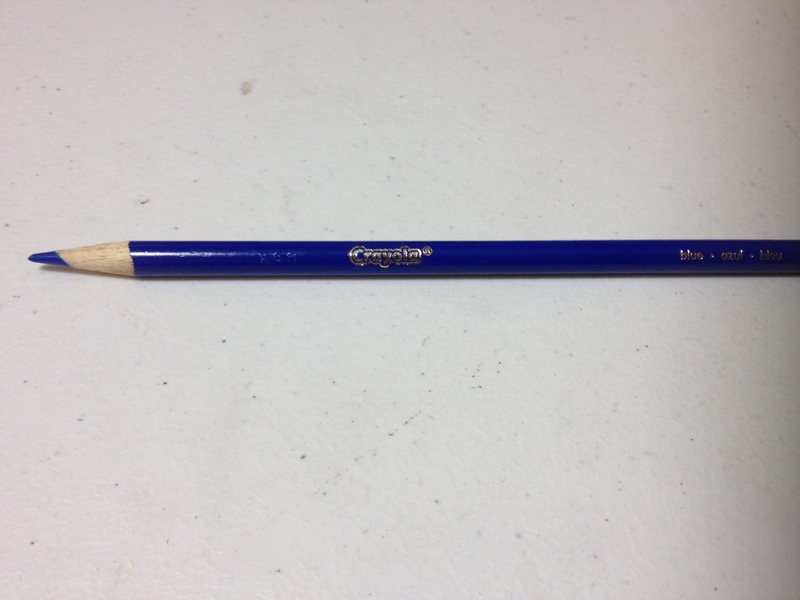 The color of the pencils itself is nothing special. It is the standard bright and varied set of colors that comes in every school supply-esque box of colors. 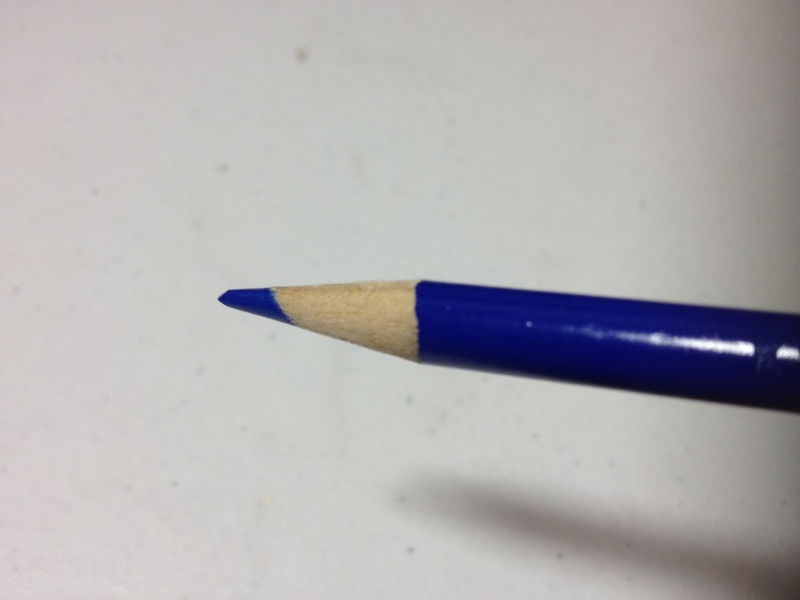 The mark is about that of a number two pencil and requires a good amount of force to be applied heavily. It leaves a waxy finish on the surface, preventing blending. Using them to color big blocks of the same color as is done in school is probably the best use for them. They have no where near the range of more expensive “art” colored pencils, and none of the blending or covering capabilities. That being said they are good for practicing and less “formal” images, working well in mixed media because of the waxy finish. Overall, if you are looking for a good art colored pencil this is most likely not for you, and you probably didn’t even consider these. But they are still a useful tool for seeing what things will look like (drafting) or practicing technique. If you already have a set of art colored pencils you could also use these instead so you don’t use up your ludicrously priced coloring utensils.